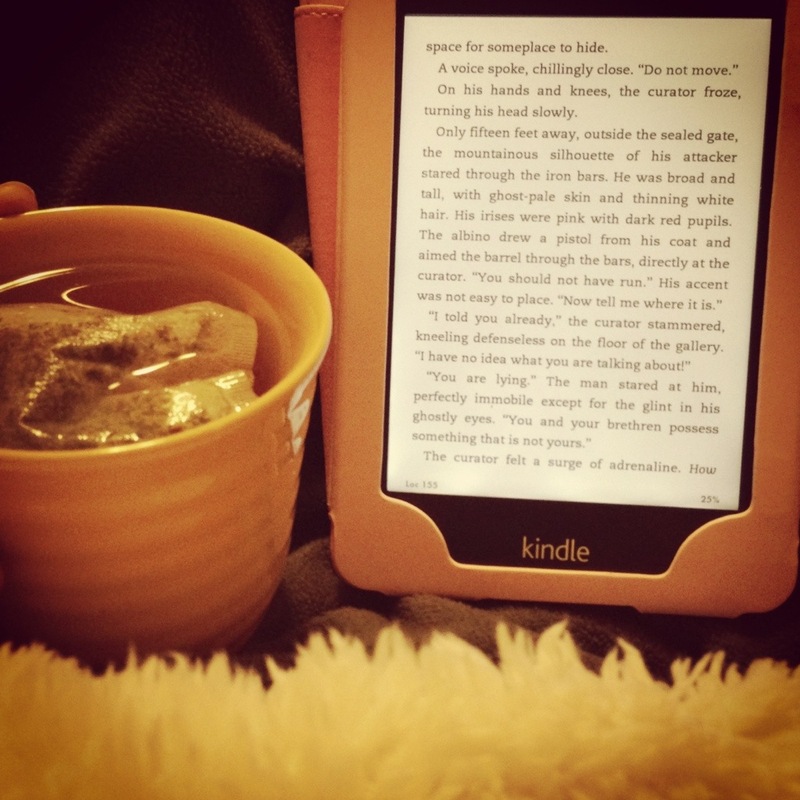 After a long day I look forward to getting cozy with a soft blanket, chamomile tea and a good book! Well, not literally a book anymore since I got a Kindle. I used to be against them and thought I was more of a “book person” because I love the excitement of physically buying a new book and turning the pages as you read, but I was wrong! Although I might miss that “new book smell,” I love that I can easily bring my Kindle everywhere I go just in case I have some time to kill. It even tells you how long you have left in the chapter based on your reading speed, which it measures! It was a great purchase. Right now I’m reading The Da Vinci Code and loving it! It keeps me up too late, though, because I can’t stop! It is really well written and an interesting story.